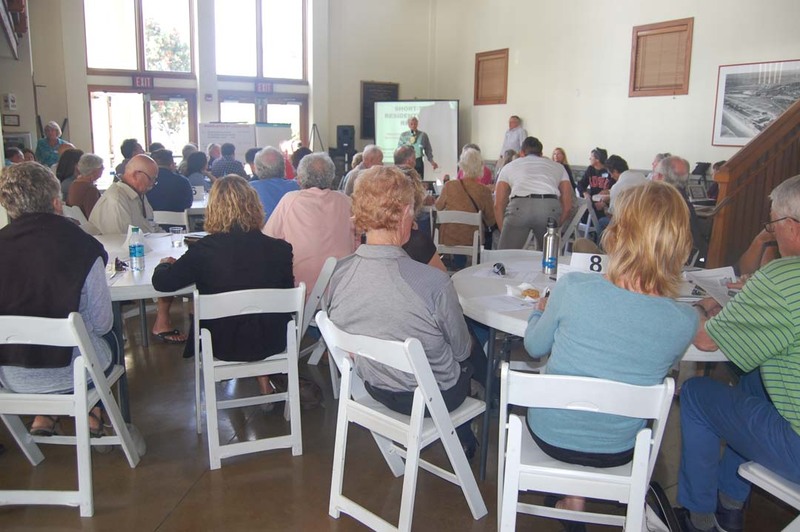 DEL MAR — About 75 residents shared their views individually and as small groups during a June 13 workshop at Powerhouse Community Center aimed at prioritizing potential solutions for short-term rental regulations. The group also included a smattering of people who work in the industry as managers but do not necessarily live in Del Mar. Rentals of 30 days or less are not specifically allowed or prohibited in the city. However, the practice has been going on for decades, especially during the summer when tourists come for the annual county fair and thoroughbred horse races at the Del Mar Fairgrounds. Discussions about whether to regulate or ban STRs, as they are sometimes called, have “heated up recently,” Councilman Al Corti said, because of increased complaints from residents who say the temporary lodgers create more noise, parking, trash and traffic problems and are changing the community character. Supporters say the visitors boost the local economy by spending money at Del Mar restaurants and stores and provide much-needed extra revenue for residents. Many say the practice has increased exponentially in recent years because websites such as Vacation Rental by Owner and Airbnb make it easier to book a stay. There is currently a temporary moratorium on new short-term rentals entering the market. 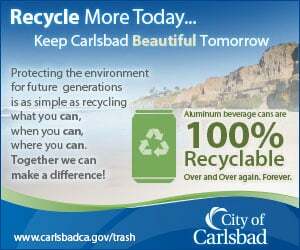 Council members are using the time between now and when it expires in November to garner public input on whether there should be regulations or an outright ban. Some of the problems in dealing with the issue include difficulty enforcing any rules and the California Coastal Commission’s support of STRs. The state agency views them as more affordable options to expensive coastal-area hotels, thereby allowing more people access to beaches. At the workshop attendees were divided among nine tables and asked to rank their preferences for addressing short-term rental regulations in five categories, each of which provided a variety of options. The first one focused on whether STRs should be restricted to certain areas of the city. Impacts of an overabundance of short-term rentals in a concentrated area include a perceived loss of neighborhood character and disturbance issues. As a group most people favored treating short-term rentals the same way citywide. Addressing occupancy limits, the preference was to limit the number of people in each rental based on the number of bedrooms in the unit. The second choice was to cap the number of occupants based on onsite parking availability. The preferred minimum length of stay was 30 days, with seven days being ranked second. Noel Quintana, who owns vacation rentals in Del Mar and Mission Bay, said he’s had more problems with tenants who rent for longer periods of time. He said many two-day renters are in town for a specific event, such as the horse races or a concert. He said the longer people stay, the more comfortable they get and they tend to be in more of a party mode. Overall attendees favored no limit on the number of days per month or year a unit could be used as a short-term rental. Limiting it to a certain number of days per month ranked second. Using the rationale that the more liability a property manager and renter have for ensuring neighborhood behavior during the rental period, the less likely it will be for disruptive behavior to occur, six options were listed under rental operator requirements. They included posting local property manager contact information in a visible exterior location, providing renters with a rules and regulations manual and a minimum time to respond to complaints. In general, attendees favored most of the options, adding that immediate neighbors should be notified that a home would be used as an STR. Many of the table groups seemed to include an even mix of supporters and opponents of short-term rentals, but some clearly were dominated by people on one side of the issue or the other. In past meetings and discussions council members and the community seem almost evenly divided on the issue. Councilman Dwight Worden said his mind is still open. Most owners who rent out their properties have said in the past that they support reasonable regulations, such as a good-neighbor policy. Many said they have been in the business for years and have never had any problems. In fact, some wondered just how pervasive the issues are. “We’ve been a vacation spot since the 1920s,” Rudolph Rhett said. “I don’t see a problem. … I’m not seeing any indication that these very expensive houses in the beach colony are being used as frat houses. City staff members will compile all the input from individual and group worksheets and present the findings to council at an upcoming meeting.